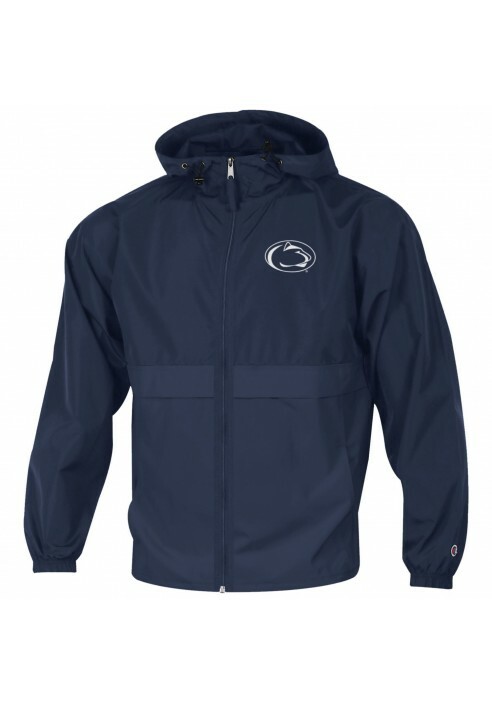 • Men's Full Zip Penn State Jacket by Champion. • Available in Navy & White. • Elastic with toggles in hood and on bottom sides. • Horizontal accent stitching at waist with fabric flaps. • Nittany Lion Logo printed on left chest.